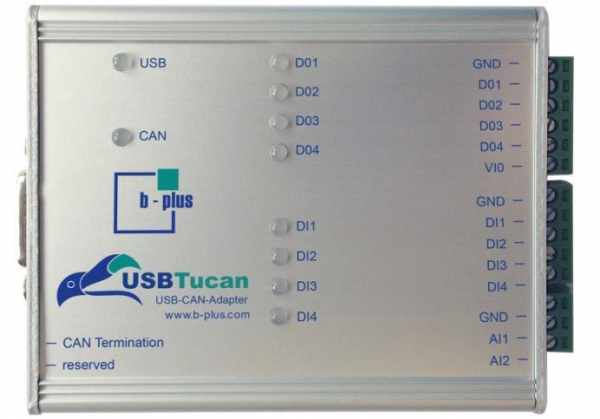 Produktinformationen "b-plus B18001-U2C-001-0001 - USBTucan Set"
USBTucan is an USB I/O Box with digital In/Outputs, analog Inputs and a galvanic seperated CAN Interface. It is ideal for use in an laboratory as development and test tool, as well as for mounting in machines and test benches. Weiterführende Links zu "b-plus B18001-U2C-001-0001 - USBTucan Set"
Kundenbewertungen für "b-plus B18001-U2C-001-0001 - USBTucan Set"